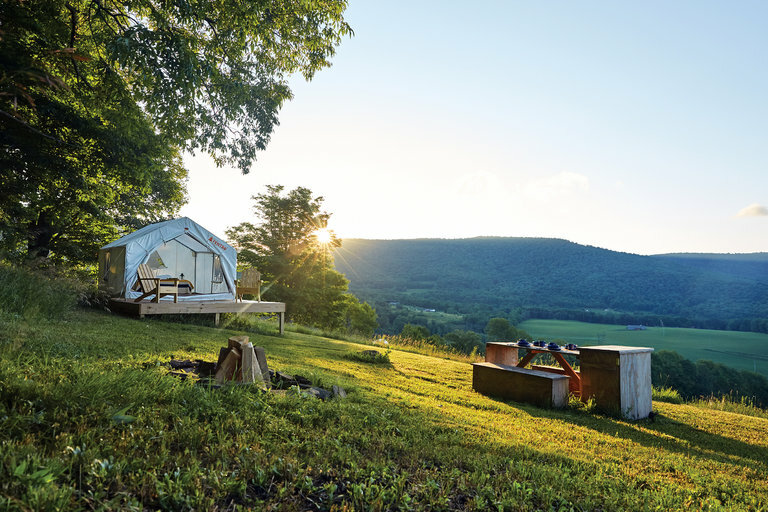 The NYTimes Travel section today looks at a resurgence in getting outdoors and camping, and highlights the startup Tentrr, which offers secluded campsites ready with tents and cots and cooking utensils and more. The Times includes a photo (above, by Tertius Bune) that shows a Tentrr site. That’s just the kind of platform and fire pit that I want to put out on the back part of the four acres we now own in Chapel Hill. Our land is wooded, and slopes down toward a creek, and would be a fun place to camp.